Can Adderall be smoked? From the scientifical point of view, smoking or vaping this drug seems to make little sense as far as the molecules of the amphetamine salts in the substance would be decomposed by heat before they make any euphoric effect on the user. However, many users still report having smoked Adderall either in a pure form, converted, or mixed with other substances, and getting high on it. So, the answer is yes, though smoking Adderall is an extremely dangerous technique. It increases the chance of life-threatening events and makes one addicted to the drug. It’s important to catch this type of abuse early with a family member or friends. Smoking a crushed Adderall capsule is the fastest way for the drug to enter the bloodstream. It reaches the brain faster and causes intoxication, making it more addictive. Why Do Users Prefer Adderall Smoking? What Are the Risks of Adderall Smoking? How to Identify an Adderall Smoker? A lot of people want to know how to make Adderall smokable. It is quite easy. All one has to do is crush the capsule and place it inside a rolled tobacco paper or pipe. The drug powder is usually mixed with tobacco, weed or other substances in different proportions, depending on the dosage and experience of the user. Now it’s time to light it up for smoking. If a person smokes Adderall, they end up getting the entire dose of the drug at once. It enters the bloodstream immediately. Why Do People Smoke Adderall? A lot of people have already learned how to smoke Adderall on forums or from their own experience. They prefer to take this stimulant by smoking it to heighten its effect for recreational purposes. Those who use this stimulant for prescribed ADHD or narcolepsy treatment rarely turn to this type of intake. Most of the addicts start smoking Adderall in college as it is quite easy to get smart drugs in the dormitory. This amphetamine-based drug is prescribed for oral intake because in such case it is slowly released and digested gradually. Smoking allows amphetamines to reach the brain immediately, without the mediation of the gastrointestinal tract, all the dose at once. Since it reaches the brain immediately, dopamine release takes place faster. It gives an instant feeling of euphoria, alertness, and increased energy. The effects tend to last longer and be stronger as well. Adderall weight loss is one of the much-awaited effects of this amphetamine-based drug. This is true in most cases because most users do not feel hungry and sleep patterns are altered. However, Adderall smoking is not an approved method of weight loss, even more, the dangers of such type of intake overweight the possible benefits. Smoking Adderall XR is more widespread than the IR version, as the latter works faster even in case of traditional oral intake. This Adderall extended release version contains additives that are meant to deliver the drug slowly in the digestive tract. By crushing and smoking the drug, it bypasses the additives making it work like a freebase Adderall; hence effects can be seen or felt faster. Amount of Adderall to get high varies for every user. Those who have used the drug previously may require more dosage before the drug takes its effects. Adderall price is likewise affordable; hence it is vulnerable to abuse. What are the Dangers of Amphetamines Smoking? The act of smoking a powdered version of a drug stimulant can also be referred to as insufflation. There are several effects of smoking Adderall. This technique delivers the drug into the bloodstream via the nose, throat, and alveoli in the lungs hence may cause lung damage. Chemicals from the drug bind to the lungs producing inflammation. In some cases, this becomes permanent causing emphysema, pneumonia, bronchitis, or chronic obstructive pulmonary disease (COPD). There’s an increased risk of lung cancer too. Delicate mucous membranes like the upper palate, throat and nasal cavity are prone to damages as well when smoking. Abusers may experience nosebleeds and a chronic runny nose. In severe cases, a perforation may happen. A headache is a common symptom too. Smoking Adderall will immediately affect the brain in as fast as 5-10 minutes. When a person smokes this drug, they are likely to experience panic attacks, seizures, and psychotic episodes faster. 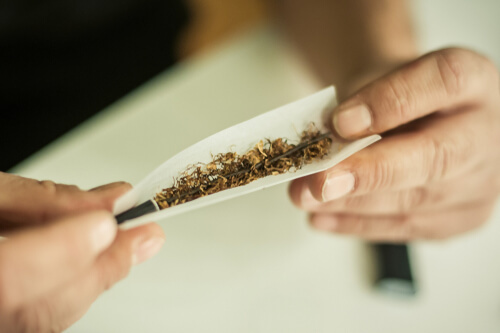 Users who smoke drugs are more likely to engage in risky behaviors and may be involved in accidents. Questionable sexual practices are reported too, thus increasing the odds of harboring sexually transmitted diseases. Some abusers mix this stimulant to cigarettes or other drugs for smoking. The other similar stimulants, like Vyvanse, are also sometimes smoked. However, a difference between Adderall and Vyvanse is that Adderall is considered to be stronger and thus, more dangerous. This affects not only the lungs but also the heart. With an excessive intake of stimulants, heart rate and blood pressure increase. This may cause a long-term cardiovascular problem. Smoking a drug stimulant can make a person manic and very energetic. He or she can stay awake for several hours or even days. There’s a feeling of fullness most of the time. You’ll also see powder or tobacco residues on their faces, fingers, mouths, and clothing. The other sign of smoking this stimulant is the specific scent from the clothes, body and the hair of substance abuser. A person who never smoked Adderall is unlikely to recognize the smell of this drug, however, if the unusual odor is combined with the other signs of abuse (like empty capsules, for example) it clearly identifies the drug smoker. People normally use drug paraphernalia, and these will help one identify if one is smoking the drug. There are mirrors on countertops, pill bottles to powder the drug, razors for cutting, as well as different smoking utensils – like pipes, bongs, cheap cigarettes, and tobacco papers. Also, look for signs of irritation and burns around their nose, mouth, and on their hands. A chronic cough or raspy voice may be observed too. Smoking drugs will surely lead to dependence. Adderall affects the normal dopamine levels in the brain when taken on a regular basis and at high doses; thus, the brain may become accustomed to it. Cravings and withdrawal symptoms like disturbed sleep, depression, fatigue, mental confusion, and suicidal thoughts will soon start to kick in if one stops smoking. This is the best time to seek help. There are several rehabilitation programs for drug addicts. They are experts in giving Adderall withdrawal remedies. Medications will surely be part of the treatment, but it’s their detox protocols and therapies that will make a huge difference. There have been successful cases of Adderall lawsuits because most patients were not informed about the possible side effects of taking the drug. However, taking an excessive amount on your own free will and smoking it without a prescription is a different story. It is unlikely to win the court if the medication was used the way that is not approved by the Food and Drug Administration. If you or your loved one is concerned with Adderall addiction and would want to receive more information about drug and alcohol rehabilitation centers, you may call our 24-hour hotline at (888)-459-5511 now to speak with a knowledgeable representative.